Engagement Session Photos in a Tree! This couple climbed a huge tree in Chester County to pose for their engagement photos! 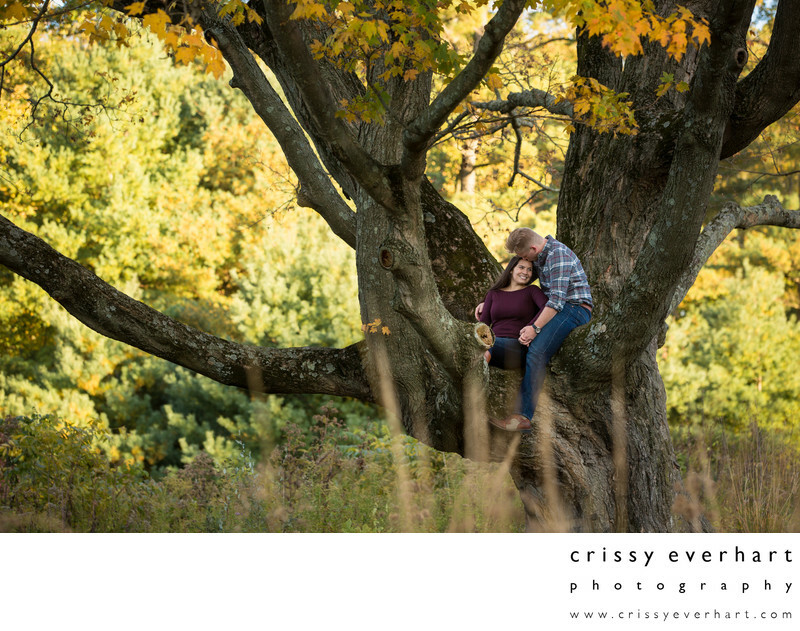 The couple is pretty active and they love to travel, so it's no surprise they ended up 8 feet high in a tree for their e-session.